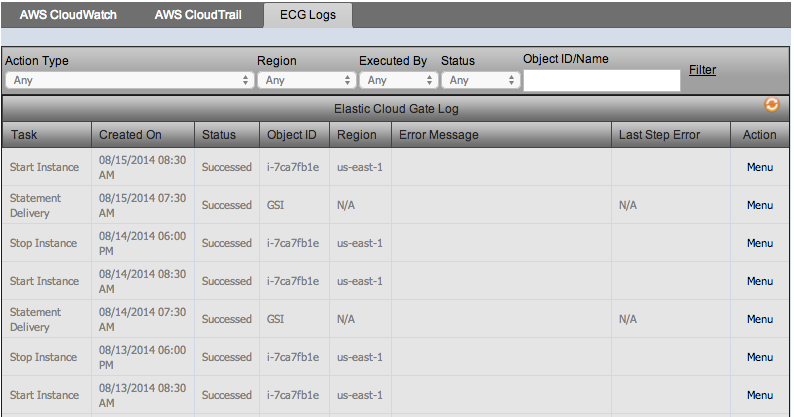 Elastic Cloud Gate can be utilized to review the status of your CloudWatch alerts. It also provide an option to review AWS CloudTrail. It is a web service, which effectively records AWS API calls for an account as well as deliver log files directly to you when needed. AWS CloudTrail records the identity and IP address of the API caller, the time of the API call, the request parameters and the response elements returned by the AWS Service. It is a monitoring service that is made specifically for various AWS cloud resources and the different applications you have running on AWS. What are the Uses of Cloudwatch? Users are now able to review all actions that were executed from our portals as well as all logs from any scheduler. This will provide you a better understanding of the operation of your systems and applications. If you need detail report regarding your AWS backup status your are in right place. 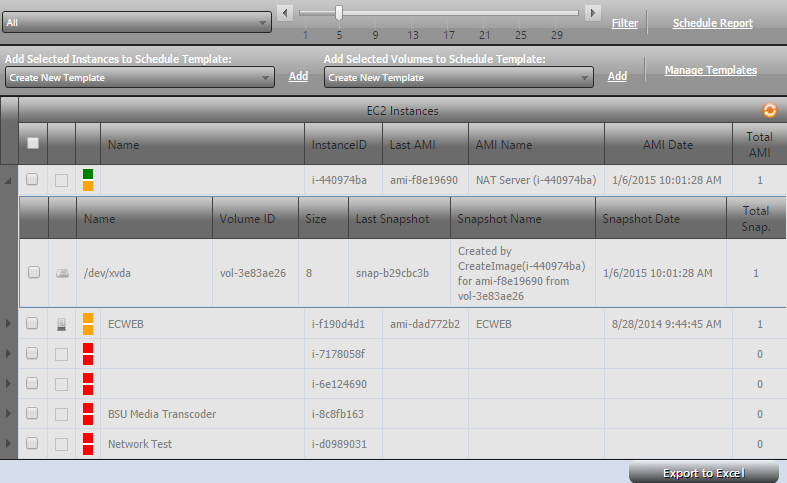 You will be able to quickly find out which EC2 Instance or EBS Volumes are without backup. Now you have the more advanced tools for AWS CloudTrail filtering and reviewing the status of your CloudWatch alerts.